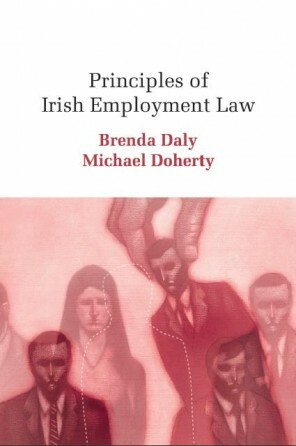 A comprehensive collection of materials on EU law relating to Ireland. There is a rapid increase in the amount of case law on EU law in the Irish legal order. 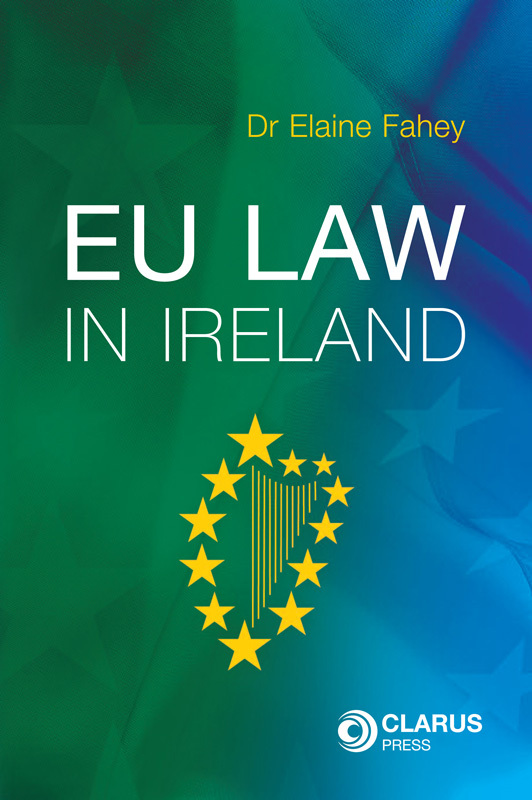 EU Law in Ireland analyses key case law, text and commentaries in a diversity of EU law-related subject areas and provides an up-to-date and comprehensive collection of materials on EU law. There is currently a dearth of research as to the operation of European Union law in the Irish courts. The standard published texts in European Union law do not include any materials as to the Irish legal order and research considering the operation of European Union Law in the national courts has frequently excluded data as to Ireland on the basis of a paucity of case law. 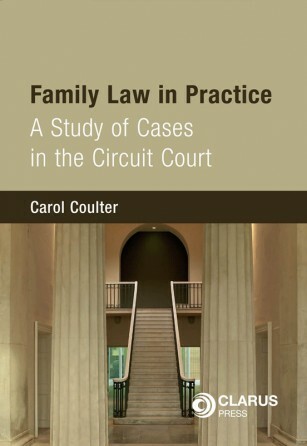 However, there has been a major increase in case law in this area from the Irish Superior Courts in recent years and a large increase in European Union Regulations, Directives in Irish law. The new areas of regulation and corresponding case law generated have entailed that a collection of key case law and materials is now a timely one. 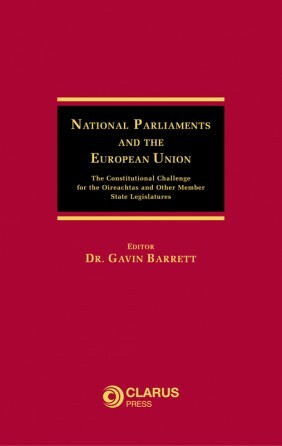 A mini-schedule of relevant primary legislation and constitutional texts are included in the publication. This publication will be of major interest to students, academics, practitioners and Government and public servants, both in Ireland and abroad. Dr Elaine Fahey is a Max Weber Fellow at the EUI Florence, Italy (2009-2010) and Assistant Lecturer in Law (On leave 2009-2010), Dublin Institute of Technology, Ireland. 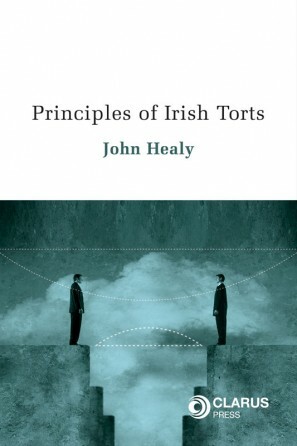 She has taught at Trinity College Dublin, the Law Society of Ireland, Humboldt University, Berlin and is a former Judicial Research Assistant at the Four Courts, Dublin. She is the author of Practice and Procedure in Preliminary References to Europe: 30 years of Article 234 EC Case Law from the Irish Courts (2007) and has served as Secretary to the Irish Society for European Law.